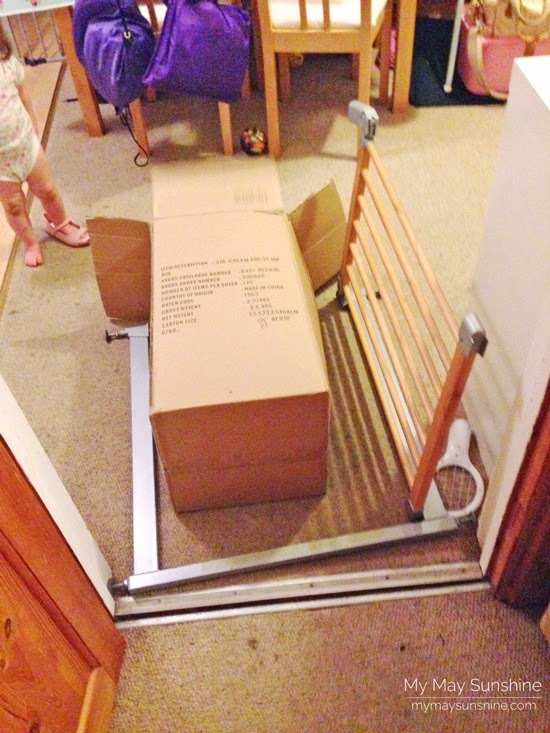 The 7 year old managed to take the stair gate out when playing with a cardboard box. She was quite pleased with herself. Who needs toys! p.s. she is still in the box in the photo and wouldn’t get out!